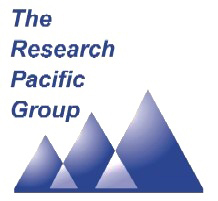 Research Pacific China, is a joint venture of The Research Pacific Group with its main office in Shanghai and, via its partner, (a long established local data collection company) nationwide coverage. We deliver International standards of Professionalism and Performance coupled with the added value of true local knowledge of culture and language. We have our own Consumer Insights Studios in Shanghai and Beijing, and offer access to many more across the Country. We offer face to face interviewing whether for business or consumer research and we are one of the few companies with substantial rural experience and coverage not only urban centres. We have a 40 station CATI centre with up-to-date technology including 100% recording for QC purposes. We also have sister companies in Hong Kong, India, Japan, Korea, Malaysia, as well as our Singapore management centre, plus a cohort of long term partners in Australia, Indonesia, Philippines, Taiwan, Thailand, Vietnam. In 2011, China had a population of nearly 1.35 billion people at an area of 9.6 million square km. Male population occupies 51.3% while female population 48.7%. The distribution of population density is unbalanced: high-density coastal regions in east China having more than 400 inhabitants per square km; central China with more than 200 inhabitants per square km; population is scarce in highland regions in west China, fewer than 10 inhabitants per square km. China now has thousands of agencies as entrepreneurs have discovered the “New Business Opportunity” of ‘Selling Research”; The number of truly professional agencies able to meet Western clients’ expectation is rather fewer! Given the vastness of China targeting of sampling approaches becomes critical; “National’ surveys are not sensible nor usually practical; clients need to consider regions/cities and then demogrphic targets very carfully and work with an agency which can properly advise them on these considerations. Nowadays, while most methodologies are viable, one has to be very careful in the choices made; Online works, but tends to be far more skewed in SE terms than in many other markets. Telephone is fine for short factual work; Complex Western style screeners seeking lots of personal information before the interview will not work however! Face- to- face is stil best for many types of work; A good National network of sub agencies, when properly supevised can be managed to enable even thousands of interviews speedily. In 2011, the internet penetration in China was 38.3% and users amounted to 513 million (rank 1 worldwide). Social Media are also expanding in China. The number of mini-blog users was reported to be 249 million in the 4th quarter in 2011. Mobile phone users amounted to 986.25 million in 2011. According to National Bureau of Statistics of China, life expectancy in 2000 was 71.4 years old (73.33 years for women and 69.63 years for men). In increased to 73 years old in 2010. In 2009, health expenditure of rural inhabitants was ca. 235.5 billion RMB in total while that of urban ones was ca. 886.7 billion RMB in total. According to World Bank Database, health expenditure took up 4.7% of the Chinese GDP in 2005. ©2019 The Research Alliance. All rights reserved. Website managed by WP Sifu.